When I began my TJF fellowship at the Jarson Education Center two years ago, I took one look at the booklet containing grade topics for the entire school and offered, out of pure insanity, to work with the religious school director to write curricula for grades 2–5. In retrospect, I had no idea what I was getting myself into. A year and a half later, I stood outside my fellowship supervisor’s office with seven folders in my hands containing 300-plus hours of work, as well as a little piece of my soul. How does one go about writing a spiral, flexible, experiential, and integrative curriculum? For starters, one does not begin or complete a curriculum in a vacuum. Jewish curriculum development, like quality curriculum development, generally speaking, requires research, relationship building, and ongoing reflection. Before setting pen to paper (or fingers to keyboard), I began researching and observing the teaching, learning, and experience occurring in theJarson Education Center. I embarked on my research by reading through the newly created but not yet formatted pre-K through first grade curricula. These texts helped me to get a better grasp of the synagogue and the school’s values and vision for its students and their learning. At the same time, I began teaching fifth grade at the religious school, which helped me understand the day-to-day functions of the school and its teaching style and get a real feel for what would be realistic for students to learn with fewer than six hours of instruction per week. By immersing myself in the school both through its texts and its classroom activity, I prepared myself to begin the process of building relationships. I believe that relationship building is key to any change process, particularly the development and implementation of a new curriculum. I entered this project in agreement with my supervisor that creating a new curriculum for the school would require buy-in from teachers. As I began the process of envisioning a new Jarson Education Center curriculum, I met with teachers one on one to determine what they saw as the strengths and the growing edges of both the content and methods they used in the classroom. Each teacher meeting involved a handful of questions, including: What are your dreams for your curriculum and your classroom? What did your students remember from their previous years when they arrived in your class? What worked with your curriculum or subjects last year? What didn’t work as well? How do you bring the content from your lessons to life? Each of these questions was designed to get a feel for the teacher’s style, what they dreamed of for their classrooms and the grades they taught, what they were excited about, and what they were struggling with. Our meetings gave me a sense of what was already working in the classrooms, as well as the content and themes of each grade. Our meetings demonstrated my investment in fostering relationships with teachers while also gaining their input on the curriculum. After meeting with each teacher, I returned to my supervisor to discuss our process, to reflect on the answers to our questions, and to start formulating a plan of action for each grade. We used other curricula as frameworks as much as possible in order to avoid reinventing the wheel. We consulted the ARE curriculum, which was initially used as the model for pre-K through first grade, as well as other highly recommended spiral curriculums including Chai and the Whole School Holiday Curriculum from Torah Aura. Based on the content areas outlined in the early childhood curriculum for the school, I began to research topical spiral curriculums. I was amazed to find that few spiral Torah curricula existed that met the needs of our community. 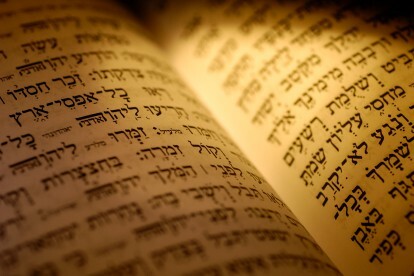 This led my supervisor and I to design a Torah curriculum for grades 2–6 that covered every parashah and integrated the curriculum with each grade’s major content areas. For instance, second-grade students focus on Jewish values and Israel throughout the year, so the Torah curriculum for this grade introduces the students to Torah while incorporating specific Jewish values and topics related to Israel. Content areas such as Hebrew, prayer/tefillah, and holidays also integrate concepts from each one of these content areas into their overall learning goals and objectives. Each year, students deepen their knowledge by building on lessons learned in the previous year while focusing on the theme for their grade. Aside from content, the curriculum began and continues to be a student- and teacher-driven process that involves constant reflection. Each of the learning goals and objectives is based on enduring understandings and essential questions that prompt teachers to investigate how students can think, feel, and do Jewish. These goals simultaneously seek to increase each student’s knowledge of Judaism while encouraging their understanding of what it means for them to be Jewish at every age. My supervisor and I continue to examine how we address the needs of our students and teachers through our curriculum. Such reflection involves continually assessing the implementation of curricula for grades 2–4. We’ve accomplished this through checklists, teacher meetings, and class observations, all of which have revealed where we may need to adjust the curriculum to meet our community’s needs while remaining true to our vision for the school. My TJF fellowship has provided me with the invaluable experience of developing and implementing a new religious school curriculum. With the help of my supervisor and mentors, I have discovered that creating and implementing a curriculum is a team sport. Without research, relationships, and constant reflection, we cannot begin to bring about change in religious school curriculum—or, for that matter, the synagogue itself. My fellowship has helped me apply what I have learned in the classroom to living and working as a Jewish leader and administrator. Bailey Romano is a future rabbi, educator, singer, and poet.